Rogue River, OR: 11/15/15 – Wagner Meters will be at The International Surface Event (TISE) in Las Vegas, NV, January 20-22. As an industry leader in moisture measurement, Wagner Meters represents the highest in standards and will be on hand to present and answer questions about all moisture content measuring concerns and testing. Speak to an industry expert with over 17 years’ experience, Jason Spangler, and gain insight on your toughest questions surrounding flooring moisture problems. Leading the way in industry standards, Wagner Meters is at the forefront of innovative technologies that provide accurate and proven moisture measurement results. At TISE, guests will be able to engage in open discussions regarding different surfaces, installation, moisture testing, and other concerns and questions about flooring. Wagner Meters will be at booth #4331 to present educational materials and tools and all your moisture measurement questions. Las Vegas may offer the sights and sounds of gamblers taking the plunge to change their lives, but there is no greater gamble like working a project without all the information to do the job right. Get your questions answered and gain all the information you need to make the best possible decisions on your job site. Your reputation is only as good as the work you provide for your customers. If you are looking for quality products, services, and information to best serve your flooring clients, you need to look no further. Wagner Meters is the industry leader in testing for moisture in wood and concrete flooring, and with quick and accurate results, you will have the knowledge to avoid problems that can occur with excess moisture. Learn about industry standards and manufacturer requirements for concrete slabs before flooring can be applied. Learn how to avoid long-term damage due to moisture from antiquated surface testing, and how the current standard for relative humidity (RH) testing is fast becoming the industry standard for manufacturer requirements. Wagner’s Rapid RH® meters, for testing moisture in concrete, are fast, reliable, and comply with ASTM F2170-11. Discover how moisture and wood are in a constant flux and how testing with Wagner meters will help you gauge with accuracy and consistency of the interaction of wood and moisture. A discrepancy in moisture content in woodworking can lead to cracking, warping, and breakdown in adhesives. Mitigate those damaging circumstances by learning how to avoid problems before they factor into your project. Each meter is backed with a leading industry warranty of seven years. With over 700 companies in attendance and thousands of products, there is sure to be ample resources to help you in whatever project you have going. Stop by the Wagner Meters booth, #4331, and speak with industry professionals about your concrete and wood flooring needs and concerns. 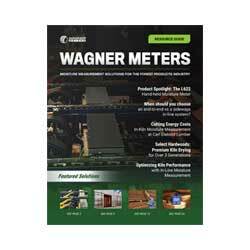 Wagner Meters has over 50 years’ experience in moisture measurement systems. Research over decades has produced industry-leading patents that provide you with the most innovative and up to date technology. Wagner Meters is dedicated to your success by providing equipment that is cost effective, time-saving, compliant with the ASTM F2170-11 standard, compliant with manufacturer requirements, and has proven accuracy. At Wagner Meters, we want to help you gain the knowledge you need, with the innovative tools that far surpass industry standards. We would love to meet and talk with you about your needs. For more information, visit us at www.wagnermeters.com. For additional information, please contact Jason Spangler at (541) 582-0541 X235.